Half of all men and one-third of all women will experience cancer at some point in their lives. Fortunately, there are ways to significantly reduce your risk, as detailed in Dr. Leigh Erin Connealy’s book, “The Cancer Revolution: A Groundbreaking Program to Reverse and Prevent Cancer“. Connealy’s interest in cancer prevention and treatment grew out of her own, long personal health journey. Optimizing your body’s ability to burn fat as its primary fuel by eating a ketogenic diet and/or fastingis a fundamental aspect of cancer prevention and treatment. Detoxification is another crucial component. Connealy’s book contains a chapter focused on detoxification, as most of us are inundated with thousands of toxins each day, many of which have carcinogenic potential. We do heavy metal testing and toxic load testing for all patients … [Phthalates are] the next big thing. Phthalates are everywhere … [and] we know they cause cancer, heart disease and diabetes … Then [there are] the heavy metals — mercury, cadmium, lead, oxides, aluminum and arsenic. When it comes to water filtration, remember that filtering your shower water may be more important than filtering your drinking water, as you actually absorb three times more chemicals through your skin than when taken orally. There are many ways to eliminate toxins. One of the simplest and perhaps safest ways is to use a low EMF, far-infrared sauna coupled with a near-infrared light, as your skin is a major organ of elimination. Connealy has had a sauna in her office for nearly 18 years. “I tell people the single greatest investment they can make … is investing in an infrared sauna,” she says. Not only is it useful for detoxification, but cancer cells also do not fare well in extreme heat. Adding ozone to your sauna is another potent anti-cancer strategy. Hooking the ozone generator up to an oxygen generator is ideal. Place the ozone generator in the sauna with a small fan to blow away the excess. Connealy also recommends using organic coffee enemas and taking regular baths with Epsom salt, baking soda and clay. For men, common cancer screens include the PSA test, which has been shown to be highly inaccurate and has the potential to cause physical harm. This test can identify up to 33 tissue types of cancer and has a 95 percent accuracy rate. It measures the ENOX2 protein. “Even if you have surgery, chemo or radiation, it will not eradicate or eliminate circulating tumor cells … The biggest cause of reoccurrence is the circulating tumor cells and stem cells … Anybody who’s had cancer must have their circulating tumor cells [or] stem cells checked quantitatively. She also employs nutritional supplements known to improve mitochondrial function and/or aid in the elimination of cancer stem cells. There are approximately 50 different agents with a known effect on circulating tumor cells and stem cells, including vitamin C, vitamin D, curcumin and agaricus, a type of mushroom. In regard to vitamin C — which recently made headlines when researchers found intravenous (IV) vitamin C doubles the effectiveness of chemotherapy and radiation treatment — the vitamin works by producing hydrogen peroxide. This oxidative stress is what kills the cancer cells, while healthy cells have several pathways by which they can eliminate the hydrogen peroxide. Combining IV vitamin C with nutritional ketosis and fasting for 14 to 48 hours before and during chemo has been shown to produce even more remarkable results, as detailed in a recent interview with Dr. Abdul Slocum. In certain cases, Connealy will add vitamin K3 to her vitamin C protocol. K3 is a synthetic form of vitamin K2, designed for tumors that have high catalase. In addition to these natural agents, most of which are rotated, not given all at once, she uses supportive oligonucleotide technique (SOT) therapy. SOT therapy involves taking circulating tumor cells and reverse engineering a messenger RNA (mRNA) to disrupt the DNA of the circulating tumor cells. That mRNA is then given back intravenously, and has a 24-hour, seven-days-a-week targeted killing effect that lasts for about four and a half months. While it cannot be used for masses (tumors), it attacks the circulating tumor cells, which are responsible for 95 percent of metastasis and death. While surgery, chemotherapy and radiation are a standard part of conventional cancer care, Connealy does things a bit differently. For example, she recently started working with an interventional radiologist who does cryotherapy, which is where you freeze the cells. If it’s something small that we can approach, I will recommend cryo because surgery is a very intrusive procedure … In some patients, you do everything [to] get rid of the tumor burden because the tumor burden is immunosuppressant. Patients may need chemo. If I have patients who have cancer in multiple locations in the body, I will recommend IPT chemo. That’s insulin potentiation therapy with chemo. IPT chemo is using a low-dose chemo after I do the sensitivity testing with RGCC. It will tell me the ideal agents for these particular patients. We will make a cocktail. We give insulin. It lowers the blood sugar to a therapeutic moment. We give the chemo drugs … and then we drop a bag of sugar. I also got a machine from France called iTherm. I’ve been using the iTherm machine on some cancers. When you get your RGCC testing, it tells me whether your cells respond to heat shock protein. It will tell me the three different proteins and the sensitivity. Specific cancers, like breast cancer, [are] very easy to treat with the hyperthermia machine. We trained with the doctor in France who only allows integrative treatments if you have stage 3 or 4 cancer. He spent a lot of time with us in conference calls, elaborating us on this particular treatment protocol. Connealy has done a great job of compiling a variety of valuable resources into her book, “The Cancer Revolution.” If you or someone you love is faced with cancer, it’s definitely worth reading. To learn more about Connealy’s clinic and to purchase her book, please visit www.connealymd.com. 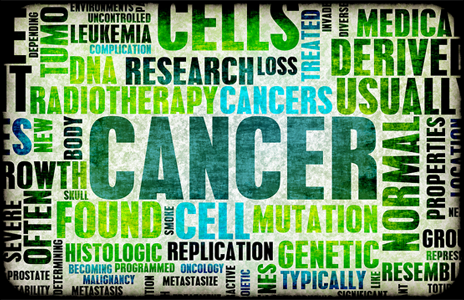 As for finding an open-minded oncologist or doctor willing to implement these kinds of integrative methods, an organization called The Best Answer for Cancer is a helpful resource that lists qualified physicians. You can find more information at www.bestanswerforcancer.org. It’s a hybrid non-profit that services both integrative physicians and patients with cancer and other chronic disease. I also recently interviewed Dr. William LaValley, who has created state-of-the-art databases of studies covering the molecular biology of cancer, and the anti-cancer benefits of nutritional supplements and repurposed drugs (drugs used off-label). Keep your eye out for that important interview, which should be published shortly. LaValley also trains and collaborates with oncologists and physicians to treat cancer patients using evidence-based molecularly targeted treatments. One of the things virtually all of us can do is to make food choices that allow your body to burn fat as its primary fuel. I describe a modified ketogenic cyclical diet that accomplishes this in my book, “Fat for Fuel.” Even if you’re choosing conventional therapy, nutritional ketosis can be tremendously helpful. 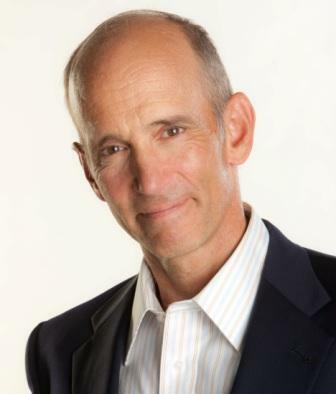 Born and raised in the inner city of Chicago, IL, Dr. Joseph Mercola is an osteopathic physician trained in both traditional and natural medicine. 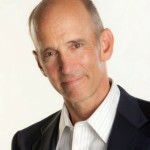 Board-certified in family medicine, Dr. Mercola served as the chairman of the family medicine department at St. Alexius Medical Center for five years, and in 2012 was granted fellowship status by the American College of Nutrition (ACN). While in practice in the late 80s, Dr. Mercola realized the drugs he was prescribing to chronically ill patients were not working. By the early 90s, he began exploring the world of natural medicine, and soon changed the way he practiced medicine. Visit Mercola.com for more information, or read Dr. Mercola’s full bio and resumé here. Contact this site https://www.meditecheurope.co.uk for doctors and physiotherapists who have the Lakhovsky Oscillator and Rife Phanotron so you can book some sessions. These devices DO NOT cure cancer so stop asking if they do. They only improve the ability of the body to self-heal and regenerate. If you need to ask whether these devices cure diseases or not then this is not for you. Look for something else.